ET934 (8934) 1989 102C3. 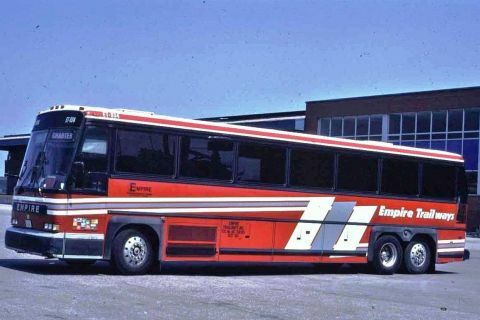 This coach, and an A3 purchased that year had a Detroit Diesel 8V92 with an Eaton Fuller five speed stick. A similar C3 purchased in 1988 (ET8832), had the same livery, but two fewer seats as it was equipped with a mini galley in the back.